Based on the infamous double murder case that rocked Noida, India in 2008, Meghna Gulzar’s Guilty is a searing commentary on a legal system that ultimately let down those it was designed to help. When Central Bureau of Investigation detective Ashwin Kumar (Irrfan Khan, who brings the right level of cockiness and compassion to the role) is assigned to investigate the mysterious death of fourteen-year-old Aarushi Talwar, who was murdered in her bedroom, he feels the job is a waste of time. Since a second body was discovered as well, that of one of the family’s servants, the police and media have already declared that the murders were an “honour killing” committed by the girl’s parents, Dr. Rajesh Talwar and Nupur Talwar. Only while delving further into the case does it become clear that the Talwars had nothing to do with the killings. In fact, the investigation not only points to the family’s servants being responsible, but also to the police botching the initial evidence gathering. Determined to get to the bottom of the murders, at all costs, Kumar soon finds himself opposing the local police force on almost every aspect of the case. The cops have no hard evidence to prove that the parents actually committed the crime, but do everything in their power to make the square pieces they have fit into the round holes. Whereas Kumar’s evidence puts the servants at the scene of the crime, but his methods of gathering such proof are ethically questionable. It is through this stalemate that Gulzar frames her narrative. Playing like a modern day Rashomon, the audience is presented with multiple theories as to how the events unfolded and are left to decide which they believe. However, it is not really much of a choice when considering that Gulzar is clearly siding with Kumar the entire time. 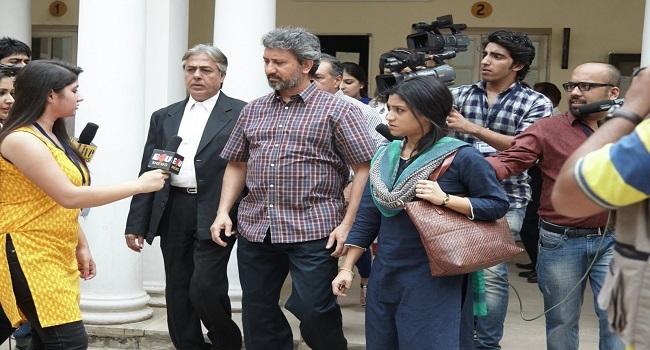 Guilty does not hide the fact that it feels the Talwars were wrongful convicted for a crime they did not commit. The local police force is not only portrayed as unprofessional nitwits, who goof around at a crime scene and miss key pieces of evidence, but also men who come up with their conclusion first and then try to fit the facts to meet their theory. They frequently look for the easy result rather than take the proper steps of deducing a theory based on the evidence gathered. 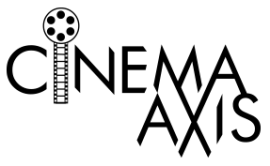 While the message of injustice that Guilty carries is an important one, the film’s structure often takes away from the central mystery. Gulzar relies on flashbacks far too often, occasionally spending long stretches on points that are ultimately not that relevant. This is most evident when focusing on the first responder’s version of the incident. Since their initial theory is laughably dismissed, which is why Kumar is called upon in the first place, it seems unnecessary to provide such a detailed account. The same information could have been given in a few lines of dialogue. Frankly it takes away much needed time away from the character development, such the thin arc involving Kumar’s troubled marriage, and exploring the rumour-filled media frenzy the case caused. This also makes Guilty feel rather rushed when it gets to its most engaging moments in the last act. Although Gulzar should be commended for bringing such an important topic to light on the big screen, the film does not feel as cohesive as it could have been. The audience should feel enraged by the end of the film, but the multiple-viewpoints only end up stifling such anger. Gulzar makes it clear who is at fault so seeing those in the wrong limply justify their position only evokes sadness for the whole situation. The Talwar family deserved better, instead they were persecuted by those who should have been helping them find the real killers.